The Annapolis Micro Systems Wild40/Wild100 EcoSystem™ for OpenVPX (VITA 65 compliant) is an integrated and agile FPGA system architecture for high-end data digitization, signal processing, and storage. 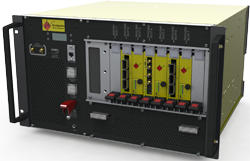 The Wild40/100 EcoSystem for OpenVPX revolutionizes the OpenVPX environment. Annapolis also offers a powerful Wild40 EcoSystem for PCIe. The Wild40/100 EcoSystem for 6U OpenVPX revolutionizes the OpenVPX environment with the addition of backplane 40/100GbE (FPGA IP included with board purchase) and hot-swappable payload and switch cards. 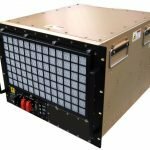 The Wild40/100 EcoSystem for 3U OpenVPX is designed for applications where the total size and weight of the system must be smaller than 6U, while still delivering the advantages of the Annapolis Wild40/100 EcoSystem.